It is Springtime, and you are looking for a nice place to relax outdoors at your home. A deck is a perfect place to sit and relax with a cold drink, good book, and maybe even grilling. If you do not have a deck but have been thinking about building one, now is the time to build it. Intelligent Design has four steps to build that perfect deck for you and your family to enjoy. Before you buy or build anything, check with the city or county officials to inquire if you need a building permit to build your deck. If a permit is needed, there will be steps to take to obtain one before you can start building. If a permit is not needed you will be able to start building instantly. We can help you get all the necessary paperwork together to build your perfect deck. Having a design is essential when building anything even a deck. You may need a design to obtain a building permit, but you will especially need a design to tell the contractor what your perfect deck should look like in Minnesota. When designing your deck decide how big you want your deck. Make sure you include enough space for all your outdoor furniture, grill and enough room to move around comfortably. One our professionals at Intelligent Design can discuss with you all the details of your design. Two main types of decking materials are wood and composite. If you choose wood as your deck material, you will have many different kinds of wood that you can choose from such as pine and redwood. The initial cost of wood may be less expensive than composite material, however, there is more upkeep with a wood deck. You will need to replace wood boards as they warp and rot. You will also have to treat the wood often to keep your deck in perfect shape for years to come. Composite decking materials are a combination of wood and plastic fibers. Initially, the cost of this is very minimal. You will not need to replace or treat the composite material. Now that you have the paperwork, plans, and type of deck materials in order, it is time to build the perfect deck for you to relax on and enjoy. 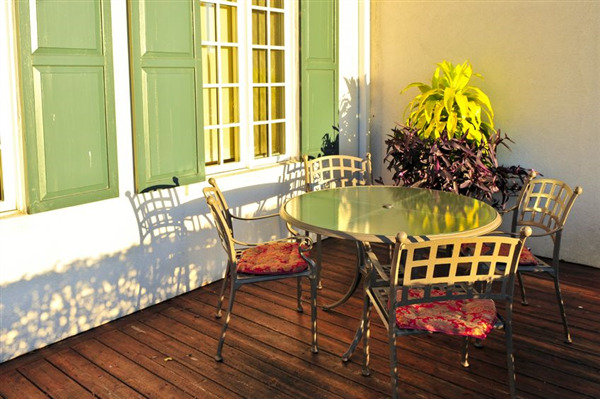 Our professional contractors can build the deck for you and your family’s enjoyment. Our contractors know all the correct nails, screws and other hardware that will work best with the type of deck material that you chose. When the deck is finished, all that you will have to do is put the finishing touches on it with your outdoor furniture and décor. Are you ready to relax and adore the beautiful outdoor scenery of Minnesota? A deck is a perfect way to admire the warmer weather. Intelligent Design can help make this a reality for you. Give us a call today to set up a consultation appointment for your perfect deck. We offer services in roofing, decks, and siding. You can reach us at 763-315-0745, or you can message us on our contact page.